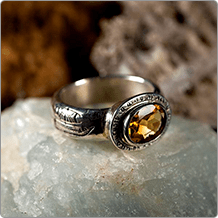 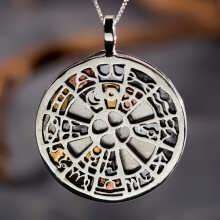 The jewelry displayed here are authentic, genuine talismans that are based upon ancient traditions. 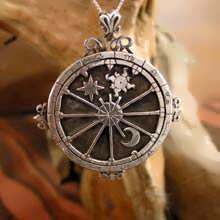 A real astrology talisman is created according to the movements of the planets at a specific time and combine different symbols metals and precious/ semi precious stones. 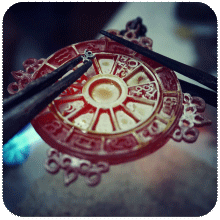 The number of pieces that can be created at any one time is limited and so it is important that you order you talisman well in advance. 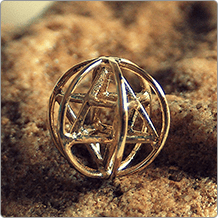 Learn more about Talisman Magic read here. 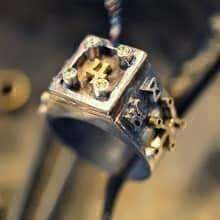 Each piece of jewelry, at the time of its “BIRTH”, traps and preserves within it the unique state of the heavens that is designed to give power to the wearer. 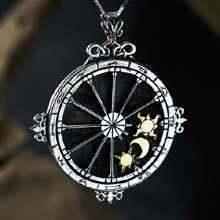 View what our customers are saying here - Astrology related testimonials. 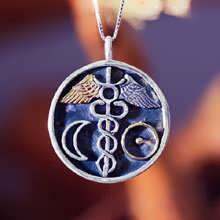 An Astrological Talisman is a powerful magical object, which is created and consecrated under specific astrological configurations. 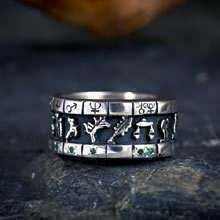 These astrological timings as well as the materials (metals, stones, herbs etc. 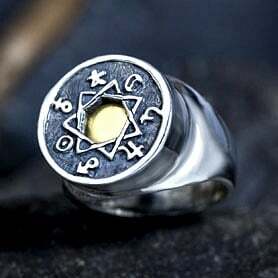 ), the shape of the Talisman and the images and symbols carved upon it - all correspond with the intended power and purpose. 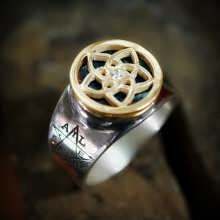 A Talisman is an intention born in a time and materialized in a matter, In this sense, it is just like a human being. 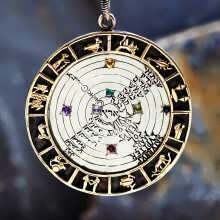 It has a birth chart that describes its qualities, aspirations, and circumstances. 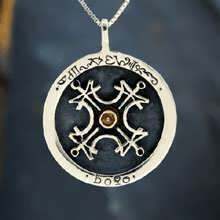 Although the Talisman is not a living body per se, it is a living intention with its own unique spirit drawn from the moving qualities of time and given birth to by the Mage, who acts as a mediator and amplifier of the Talisman's Intent. 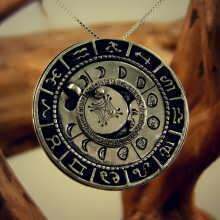 Each Talisman is considered to have a destiny of its own (chosen in advance). 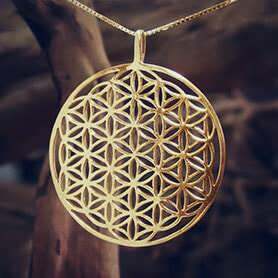 It is encoded with its own 'telos' or functional and essential proposal. 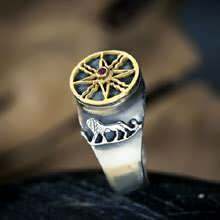 When one wears a Talisman the two destinies mingle, delicately persuading each other to a balanced state, in accordance with the needs of the individual’s chart. 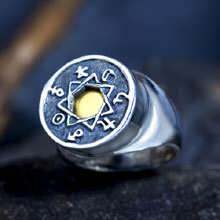 The Talisman carries qualities that will gently help the wearer as he gets more and more in sync with the talisman’s intention. 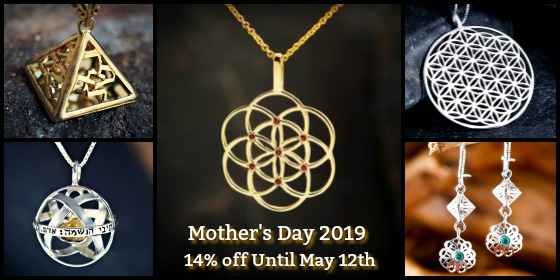 After the auspicious time for the talisman has been chosen, the Artist/Magus (David Weitzman) will assemble and complete the physical Talisman while concentrating on the intention and the astrological powers invoked. 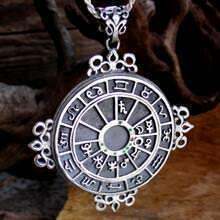 The talisman itself should carry the symbols and glyphs of the intentioned astrological energy, and it should be made with the metal/stone 'ruled' by the planet/s invoked. 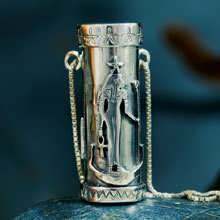 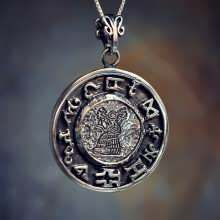 These Talismans election is made according to unique and powerful events taking place. 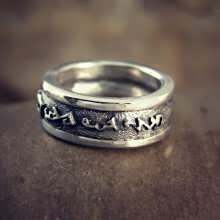 The election is generally beneficial to most people and does not need to take into consideration each specific wearer's chart. 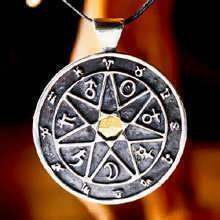 An example of such event is the auspicious conjunction of fixed star Spica with the planet Venus which took place September 1st, 2018. 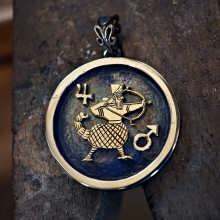 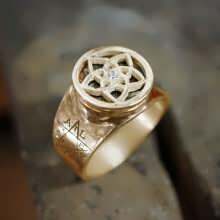 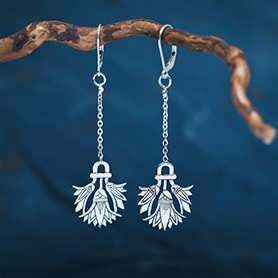 These types of Talismans are unique remedial Talismans, individually designed, based on the birth chart of the wearer, with the planetary placements and configurations that are the most empowering and balancing for him. 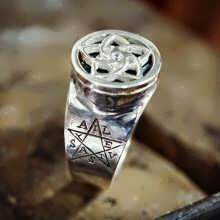 The Ancients believed that the 'Higher' world is reflected in the 'lower', which is the basic premise of astrology and magic, and that by certain means one can Intentionally create 'images' that reflect those higher 'ideas' and their corresponding virtues, or as modern will say, the Archetypal essences. 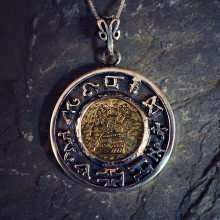 Talisman making has a really old and long tradition, from Babylon and Egypt through the Hellenistic era, up to the renaissance and middle ages. 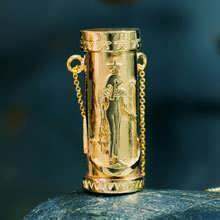 It is found in different forms in many cultures around the world, like in India for example, where it is a common remedial measure for many ailments and problems. 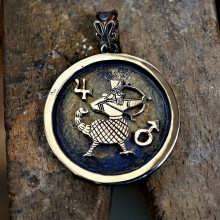 As Plato says "time is the moving image of eternity" and the planets are the wheels of time, moving through the eternal images or zodiacal signs, activating their different potentials, in many diverse ways in the earth physical plane. 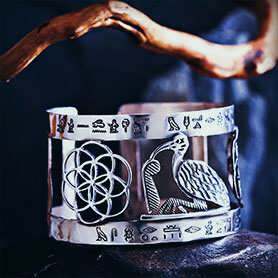 The Talismans presented here are authentically made in the traditional method, by a gifted artist with much care and spirit. 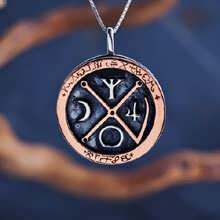 The talisman can attract and help push you to a higher perspective and reflection; it can guide you and help enhance different qualities in you and your outer circumstances, and support your own initiative.